Letting students keep a record of their tools. 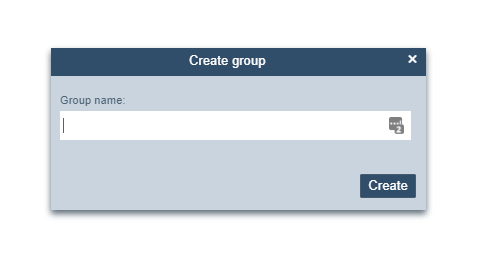 Practical courses can be set up within labfolder ‘groups’. 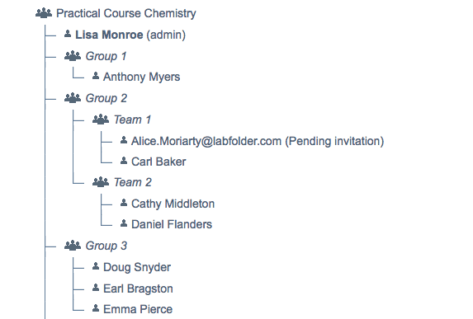 Groups offer client-separated workspace in labfolder where content can be accessed, shared, and distributed and where people can work individually or in teams. 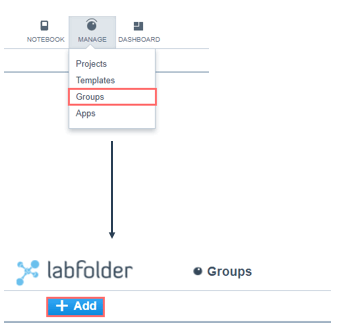 For more information on labfolder Groups, visit our guide. Depending whether cooperation between students is encouraged or not, students can either be invited in one group (as in the example above) where they can exchange content, or they can be organized in client-separated groups between no information can be shared. 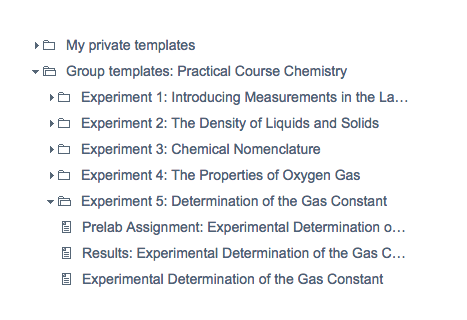 Course scripts and protocols can be prepared as labfolder ‘Templates’. Templates allow to create and share protocols with pre-filled content that can be used to deliver instructions, and they can also be edited by the students, for example, to document their own work. Additional details on Templates can be found in our guide. 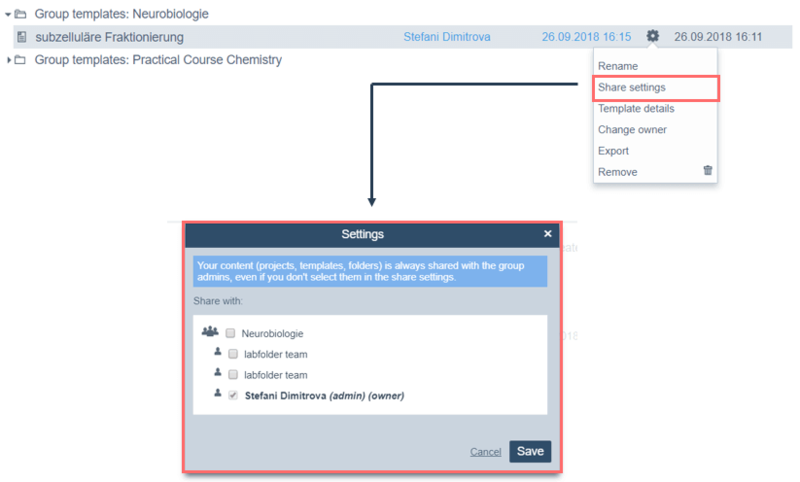 Templates can be shared across either between all course members, or they can be shared to specific course members or teams. Templates can also be organized in folders. 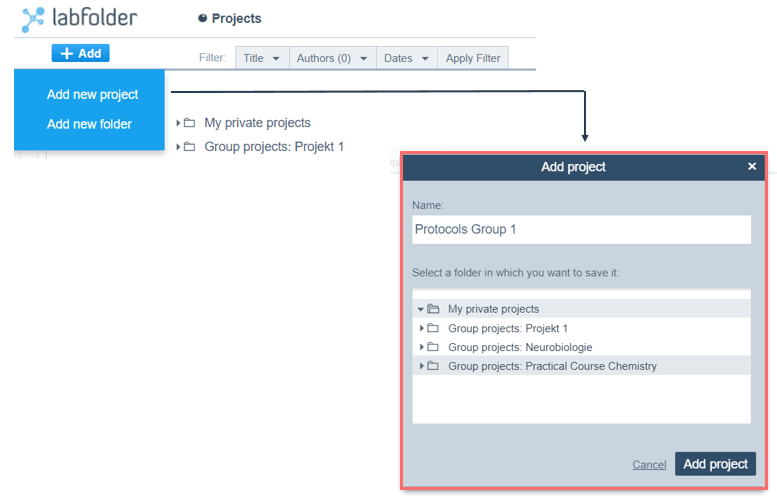 Additional details about setting up shared project and templates can be in our guide section on collaborative features. Students can reply to comments or use them for team discussions. 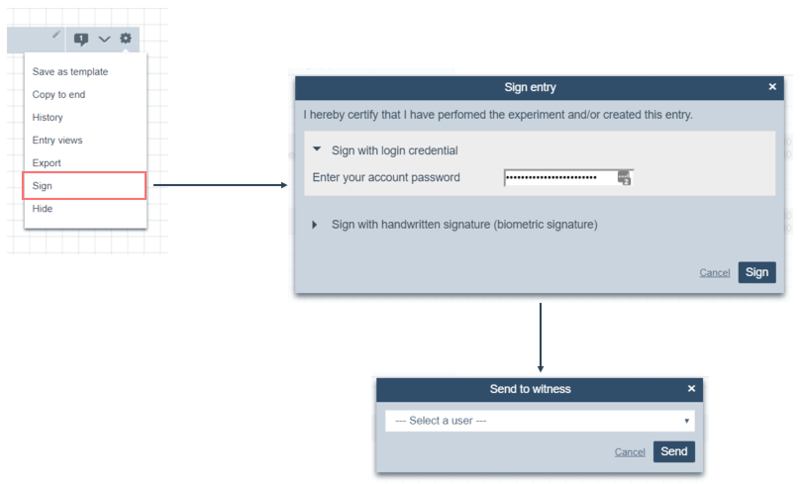 The commenting function described above can be used in the review process as well.